Updates made in February 2017 to Power BI Desktop. 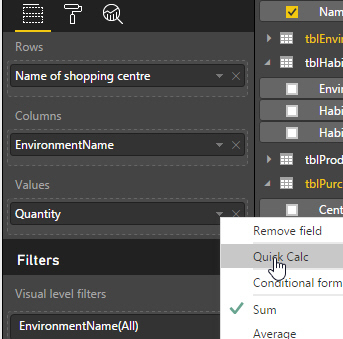 A summary of the most important changes for Power BI Desktop users in the February 2017 update. You could already choose to show a quick calculation for any value in a table or matrix. 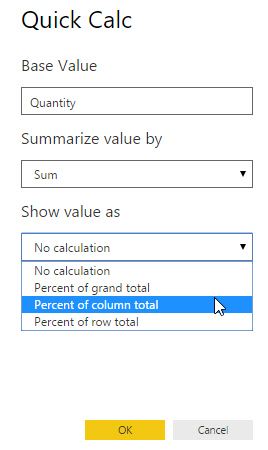 This method would show figures as a percentage of each column total. The totals at the bottom obviously show 100%.